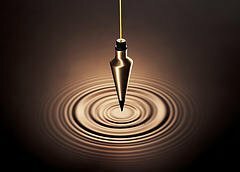 Gravity exerts a force on us 24/7/365 days a year, a force, when utilized appropriately, propels us forward or allows us to move with ease and hold ourselves optimally. Not to utilize gravity to our advantage places additional toll on our body everyday, constantly straining our soft tissue and compressing our joints, exacerbating compensation patterns and malalignments. Conditions that left unaddressed lead to Ischemic (lack of blood), painful and sensitive soft tissues, especially muscles and joint capsules. Decompression is an important antidote after a full day of getting things done or a compensation problem that goes unnoticed but is reinforce day in and day out…until some activity, an athletic endeavor, a physical exertion, or simply reaching to pick up a pencil that aggravates a compensation pattern, triggers a spasm or spasms, causing Injury and persistent pain. Massage Therapy is an important and very successful treatment protocol to help these injured tissues along. Sometimes like plantar fasciitis multiple visits nursing and treating the condition can minimize the otherwise long recovery time. In kind it is more efficient to correct the compensation patterns before an injury that sets us back occurs. An entire structural analysis (body reading) reveals what soft tissues (muscles/fascia) to address in order to bring the bodies structure (bones) into a better more efficient posture. Very often it is not the muscle that’s hurt that is at fault, but an antagonist that needs releasing in order for balance to be restored. Your body’s tissues are like an orchestra any one component (muscle) has the whole system compensating, and hence out of balance. Long term imbalances leads to vertebral disc and joint breakdown; going out on a limb, lead to scoliosis and eventually bone deformations. Wolfs law for those who want to follow up further on the logic. My anecdote, for starters is to stand with joints stacked on two feet; The knee joint over the ankle, hip over the knee, shoulder over the hip, auditory meatus (ear) over the shoulder. This alone would resolve many structural problems such as a projected pelvis and a forward head posture, reversing extraneous pressure on our joints and tonus in our muscles. Easy said, to stand in alignment, takes a lot of conscious effort and awareness to start, but the good thing is, standing habits become habitual over time. Of course if muscles passing a joint are locked long and short; a good massage therapist utilizing postural analysis can help you correct this imbalance and return any and all joints to optimum stability and function.